Citing Morgan Stanley's AlphaWise U.S. Wearables survey, analyst Katy Huberty raised base case Apple Watch sales estimates 20 percent from 30 million units to 36 million units for the device's first 12 months of availability. She considers the estimate conservative, noting it implies only "definitely" buy survey responses (as opposed to "probably" will buy), assumes 50 percent U.S mix despite an existing 30 percent iPhone mix and disregards an increasing iPhone install base. The survey showed Apple Watch purchase intent consistently rise over the past six months, with the biggest increase recorded after Apple launched in April, Huberty said. Unfortunately, it might be difficult for Apple to capitalize on demand due to unforeseen production issues reportedly related to defective Taptic Engine vibrators. 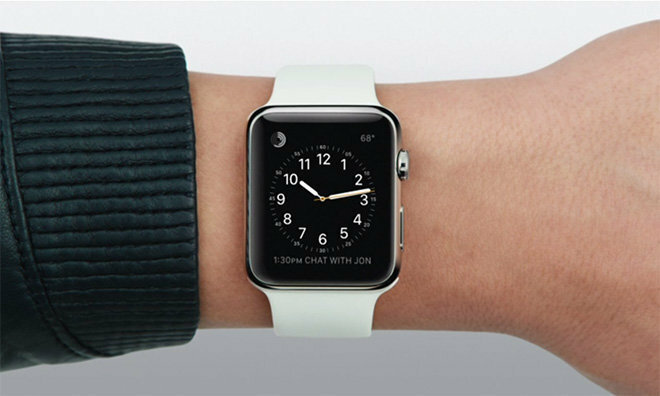 Over its first six months on sale, Huberty believes Apple's Watch supply will "significantly undershoot" demand, meaning the extra six million unit sales will be generated during the December 2015 and March 2016 quarters. Earlier today, well-connected analyst Ming-Chi Kuo said Watch sales will come in under Street expectations as demand for the device is leveling off. According to his calculations, Apple will sell about 15 million Watch units over fiscal 2015, which ends in September. In addition to healthy Apple Watch demand, Huberty anticipates an uptick in iPhone sales citing data from Morgan Stanley's AlphaWise Smartphone Tracker. Despite being relatively late in the current product cycle, the analyst estimates Apple will move 50 million iPhones for the quarter ending in June. Fiscal year estimates now stand at240 million and 249 million units for 2015 and 2016, respectively.